Visible from most places on the state beach, but with entry only off the Pacific Coast Highway (Highway One), a few hundred feet down coast in Malibu Lagoon State Beach is the Adamson House. In 1892, Henry Keller sold the 13,000-acre Rancho Malibu to Frederick H. Rindge, for a price variously reported as $10-$22 per acre. Keller, it is said, had acquired it for 10 cents an acre in 1872. Rindge, from Cambridge, Massachusetts, had recently inherited an estate of more than $2 million and moved to California. After arrving in California, Rindge wrote a book called "Happy Days in Southern California." Then he looked for "a farm near the ocean, and under the lee of the mountain, with a trout brook, wild trees, a lake, good soil, and excellent climate." Frederick Rindge died in 1905, and his wife, Rhoda May Knight Rindge, carried out his plans for the ranch, despite having to pay a big inheritance tax and high interest bills. In little more than 20 years, the Rindge Ranch became, it is said, the most valuable single real estate holding in the United States. Rhoda May Rindge, often called "May. K. Rindge," tried to keep highways out of her property, but the county and state obtained a right-of-way, and the Roosevelt Highway was opened in 1928. 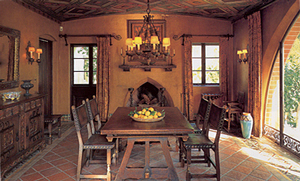 She started building a fine, Mediterranean-style, 50-room house in 1928. It was never finished and never lived in. 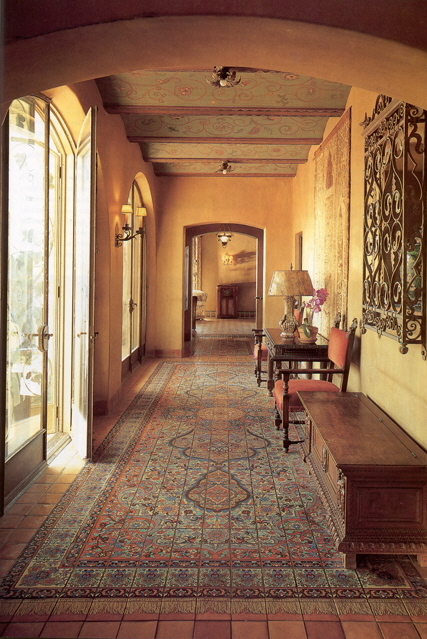 The Franciscan Order acquired it in 1941, along with 26 acres of land and tile, valued at $40,000. Adamson House was purchased by the State of California in 1968. Rindge found his "farm" in Malibu Canyon. He described the Malibu coast as the "American Riviera." He built a ranch house there, which burned to the ground in 1903. There were no roads to Malibu at that time. Everyone and everything came in by horseback or boat, or by horse-drawn wagon, over packed sand, at low tide. In 1904, the Southern Pacific Railroad tried to change all that by building railroad tracks across the Malibu area, to link Santa Monica and Santa Barbara. Rindge wanted none of the Southern Pacific, and to thwart it, he incorporated his own railway line, the Hueneme, Malibu, and Port Los Angeles Railroad, to bring in supplies and ship out hides and grain. That, and the wording of California law, were enough to keep out the S.P. Railroad. The house and grounds share one of the most beautiful beach locations in Southern California where one can view the Malibu Lagoon, Malibu Beach and the Malibu Pier. 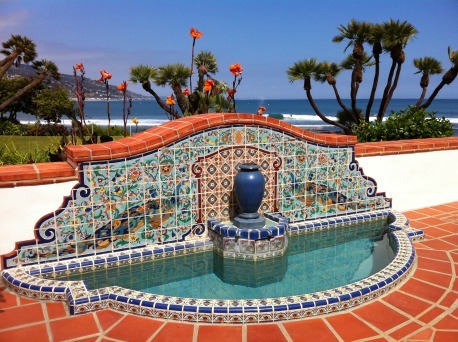 In addition to its world-famous Malibu Tile, the house contains hand-carved teakwood doors, hand-painted murals, molded ceilings, hand-wrought filagree ironwork and lead- framed bottle glass windows. From Santa Monica, follow the Pacific Coast Highway 13 miles west. From the 101 Freeway, exit at Las Virgenes Road, proceed 10-miles west through Malibu Canyon, turn left at Pacific Coast Highway, travel 1.5-miles east. Entrance for parking and the nature area is at Cross Creek Road. Walk east across the bridge and follow the dirt lane to the Adamson House. The Adamson House grounds are open daily from 8:00am to sunset. The historic Adamson House museum is open for touring Wednesday-Saturday from 11 am to 3 pm with the last tour at 2pm. Adamson House Garden Tour is a docent-led walking tour of the landmark gardens, beautifully preserved in their 1930s appearance. It is offered at 10 am every Friday. Reservations are not required. The $7 fee includes an Adamson House tour. Group garden tour: Garden tours for groups of eight or more are offered at 11am on Tuesdays. Reservations are required. Adamson House is located at 23200 Pacific Coast Highway. The large tile sign marks our entrance, which is west of the Malibu Pier and east of the Lagoon. On-site parking is not available, but handicapped drop-off is permitted in front of the house. 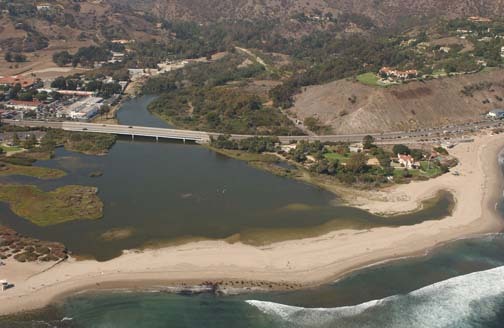 Parking is available at the following locations for a fee: 1) the adjacent County Lot at SurfriderBeach; 2) Malibu Lagoon State Beach & Lagoon at the Cross Creek light, then a short walk across the bridge. Free parallel parking along the PCH when available. Dogs on a leash are allowed on the grounds but not in the house.